← So you’ve written a book. Now what? 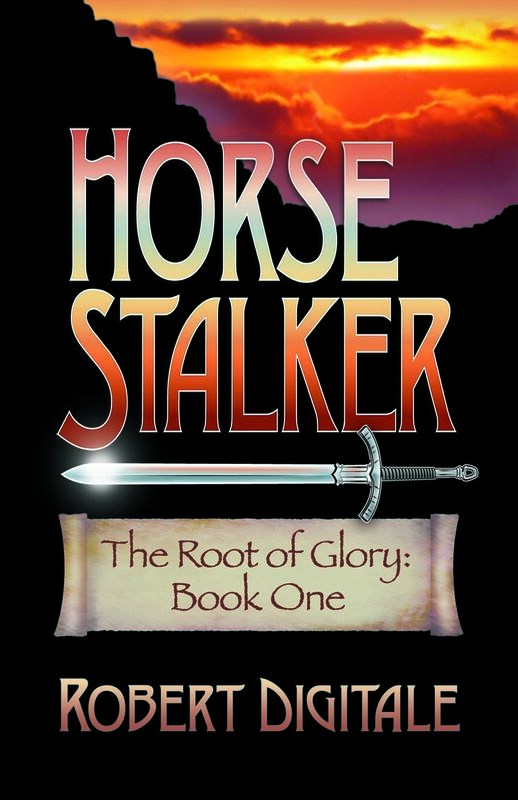 I’ve posted two reviews here of Robert Digitale’s first novel, Horse Stalker, subtitled The Root of Glory: Book One. Charles Markee wrote an insightful review, and I’ve listed my own review too. I’m sure you’ll find the horse details accurate and intriguing. This well crafted story takes you on a mythical journey in a fiercely tribal world with Roj on his quest to capture the spotted stallion and then find the mysterious and powerful Root of Glory. Accompanied by his brother-in-law, Noli, he meets the beautiful Healdin who wields the deadly power of Mara the Vine. Dangerous conflicts between clans endanger Roj and Noli as they are followed by Bibbibib and Weakling, two vicious and evil warriors–casual murderers, who are intent on acquiring the Great Valuable for themselves. This entry was posted in authors, California Writers Club, Horses, reading, Writers. Bookmark the permalink. I really enjoyed this book by Robert Digitale. It’s long, but totally worth the read. If I understand, I hear he’s working on a companion book/sequel. I’m looking forward to getting my hands on that! Yes, Crissi, I look forward to his next book too. Am not ordinarily a fan for fantasy genre, but loved his horse details and topnotch writing. I’m sure you’ll like it, Edytha! Thanks for commenting on my blog posts lately. I appreciate your comments. Hi Robin: It was such a surprise to get a note from a reader who let me know she had purchased a little bronze sculpture that I made back in 1991. It still had its tiny card attached, as original. That made my day because I rarely meet the person who will someday buy and enjoy my work. These little guys were special because I made them while recovering an injury. They took a long time and were my first foray into bronze for a commercial market (The Nature Company), that you will perhaps remember. She purchased them at a second hand shop. What a find. I wish I could find those bears at a second hand shop. More to the story. Some of them didn’t turn out well and I decided I couldn’t sell them, so I sent a friend/hiker to bury them in various spots off the trails at Mt. Tamalpais in Marin, CA. I entertained myself many times thinking of how many years might pass before someone might dig one up. Don’t even recall how many of them there were. Well, if anyone reading this ever finds a black bear cubs sculpture on Mt. Tam, please let me know. That’s fantastic, Edy! Wonderful news that the pair found a good home after you crafted them so many years ago. Hmm, MT Tam hikers keep looking!